iberia.com has more Avios seats than ba.com! 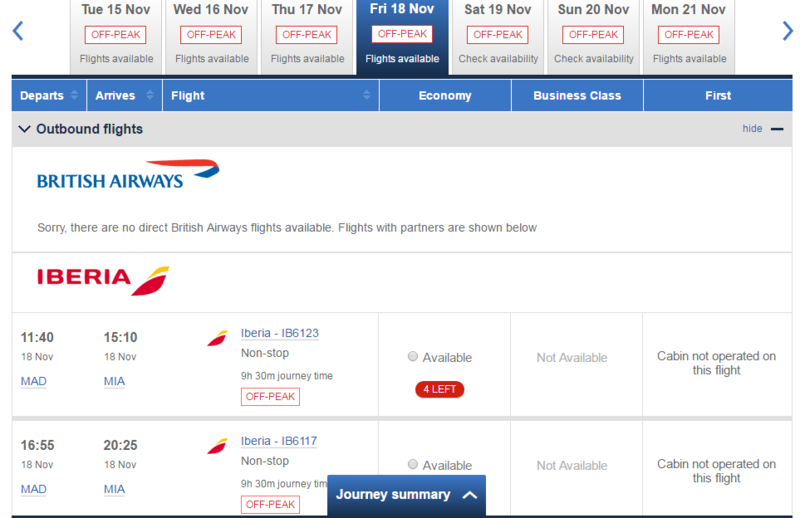 Did you know iberia.com shows more Iberia business class Avios seats than ba.com? 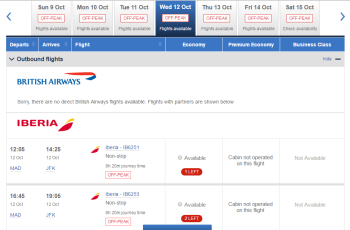 It turns out that Iberia offers better Business Class reward availability via iberia.com than it offers on ba.com. This is a bit bizarre, I admit. I’m not entirely sure why this fact isn’t common knowledge – probably because of the hoops you need to jump through to redeem on Iberia. Two months ago, I wrote about how Iberia opens up substantially more Economy redemption seats via iberia.com than British Airways will show you on ba.com. That article is here. There is a reason for this, however. It is because Iberia has two ‘classes’ of Economy redemption and ba.com only shows you the slightly cheaper ‘Blue Class’ seats. What makes no sense, however, is what I found out last week. There are more Iberia business class seats available if you book on the Iberia website. There were actually THREE business class seats on the Iberia flight available if I booked via iberia.com. Any sane Head for Points reader would be booking long haul Iberia redemptions on iberia.com anyway. This is because taxes are roughly 75% lower when booking the SAME Iberia flight via iberia.com compared to booking it via ba.com. This article explains it in more detail. 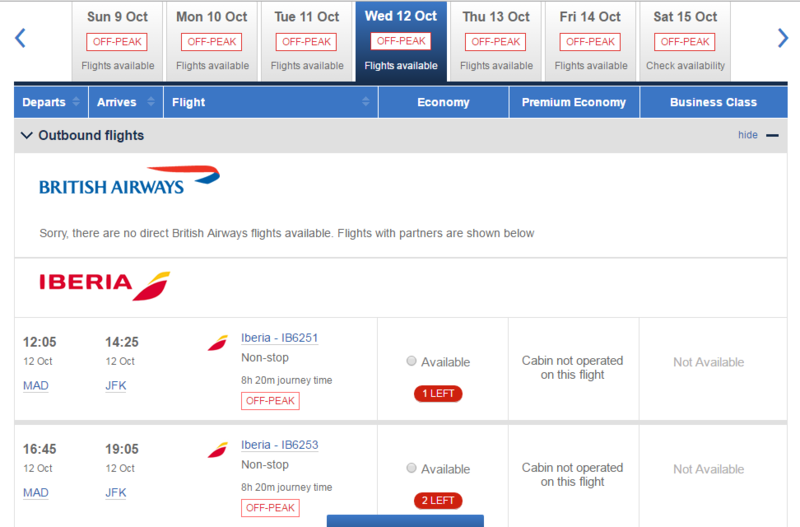 You might, as I would, start off by checking availability on ba.com with the intention of booking on iberia.com later. That would be a big mistake as these examples show. If you are looking for Iberia reward availability, you MUST search at iberia.com to see the full range of available seats. Remember, though, that in order to move your Avios points to Iberia Plus via Combine My Avios, your Iberia Plus account MUST be 90 days and MUST have earned 1 Avios point. If you have never done this, I would prioritise it because you never know when you might want to book. I am booked on a BA business class reward flight from LHR to Vancouver in August, and am trying to find a way of getting a reward seat for a friend on the same flight, economy or business. Cash costs are crazy now…is there any way of being notified if a reward seat becomes free other than repeatedly checking the website? (The Iberia website is coming up with an error when I look on there…) Thanks.